Sasaki G, Watanabe Y, Yasui Y, Miyamoto W, Morimoto S, Kawano H. Induced membrane technique using beta-tricalcium phosphate for reconstruction of femoral and tibial segmental bone loss due to infection: technical tips and preliminary clinical results. Int Orthop, 2017, 2018; 42: 17-24. 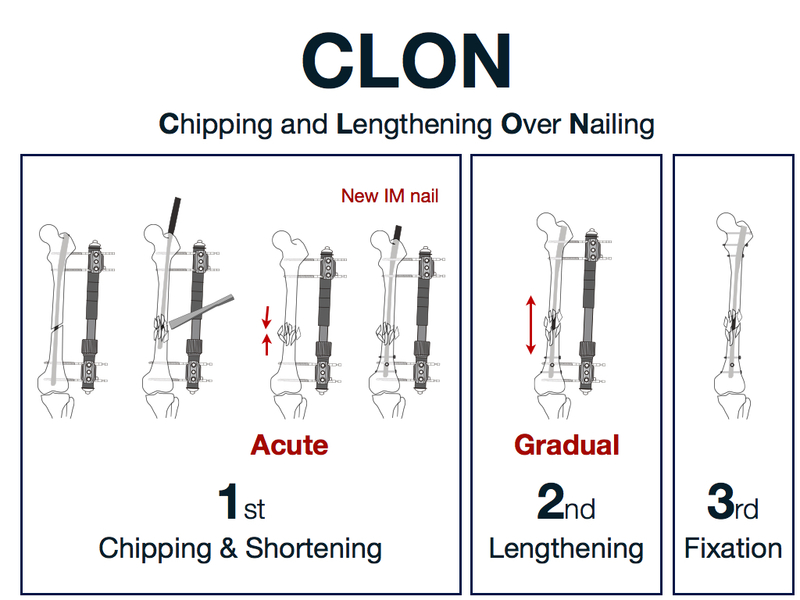 Sasaki G, Watanabe Y, Takagi M, Yasui Y, Miyamoto W, Kawano H, Matsushita T. Chipping and lengthening over nailing technique for femoral shaft nonunion with shortening, Int Orthop, 2017; 41:1859-64. 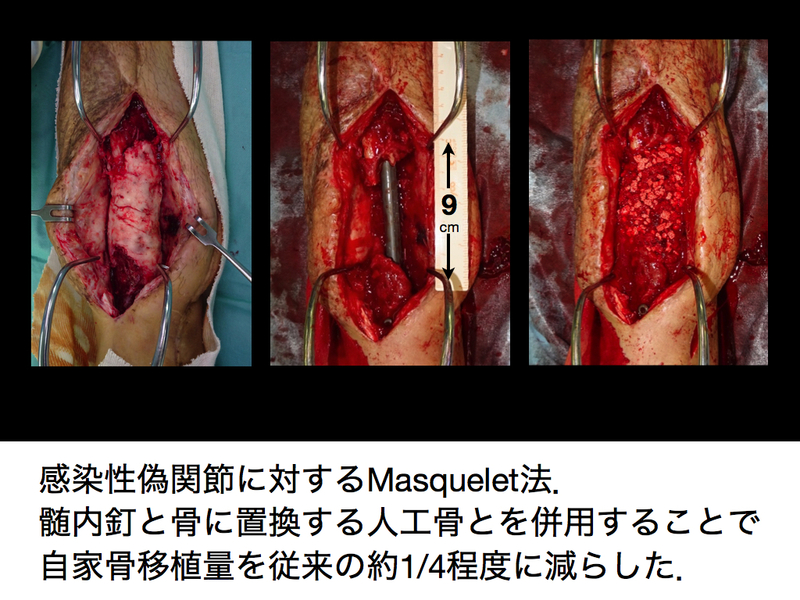 Watanabe Y, Matsushita T: Femoral nonunion with mal-alignment: reconstruction and biological stimulation with chipping technique. Injury, 2016; 47 Suppl 6: S47-52. 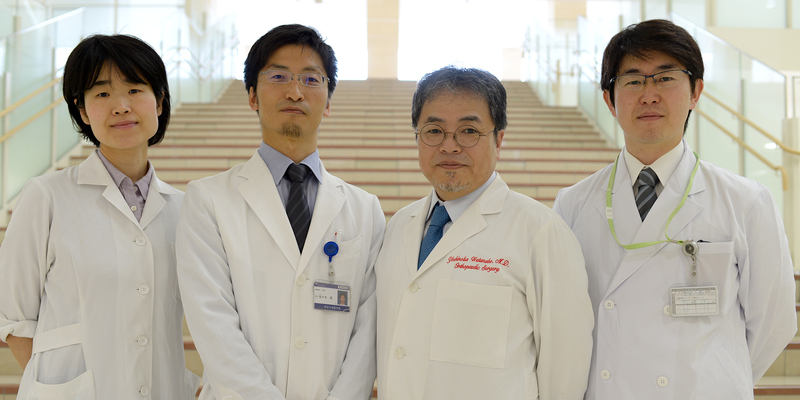 Watanabe Y, Harada N, Sato K, Abe S, Yamanaka K, Matsushita T. Stem Cell Therapy: Is there a future for reconstruction of large bone defects?. Injury, 2016; 47 Suppl 1: S47-51. Harada N, Watanabe Y, Sato K, Abe S, Yamanaka K, Sakai Y, Kaneko T, Matsushita T. Bone regeneration in a massive rat femur defect through endochondral ossification achieved with chondrogenically differentiated MSCs in a degradable scaffold. Biomaterials. 2014;35(27): 7800-10. Sato K, Watanabe Y, Harada N, Abe S, Matsushita T, Yamanaka K, Kaneko T, Sakai Y. 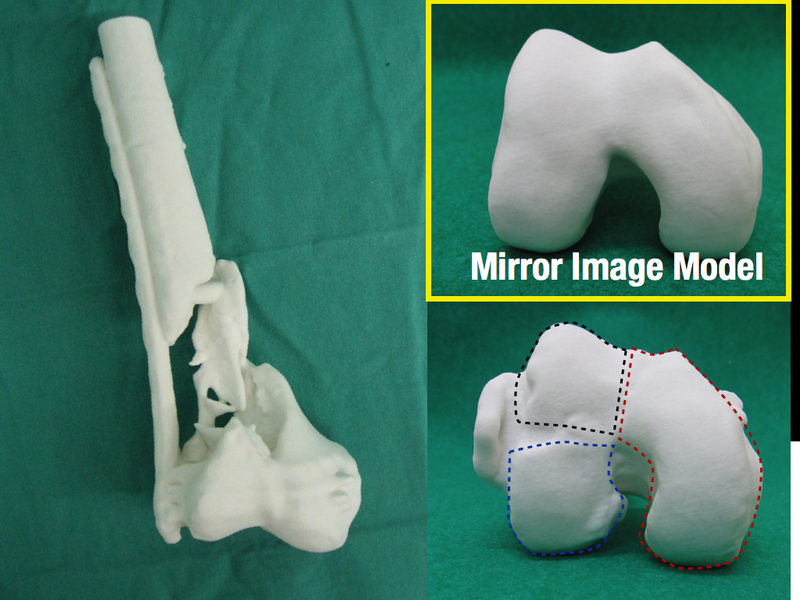 Establishment of reproducible critical size bone defect model in rat femur. Tissue Eng Part C Methods. 2014;20(12):1037-41. Watanabe Y, Takenaka N, Kobayashi M, Matsushita T. Three key factors affecting treatment results of low-intensity pulsed ultrasound for delayed unions and nonunions: instability, gap size, and atrophic nonunion. J Orthop Sci. 2013;18(5):803-10. Jakob F, Ebert R, Ignatius A, Matushita T, Watanabe Y, Groll J, Walles H. Bone tissue engineering in osteoporosis. Maturitas. 2013 Jun;75(2):118-24. 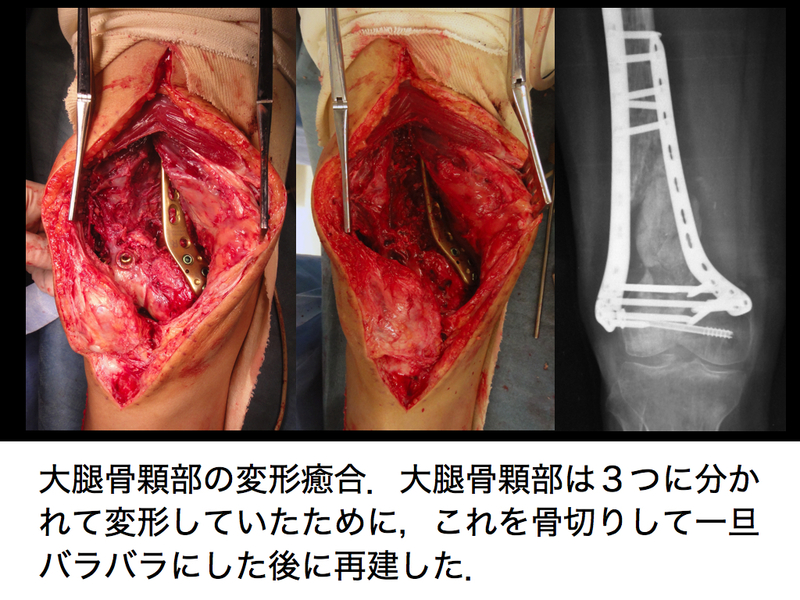 Watanabe Y, Takenaka N, Kobayashi M, Matsushita T. Infra-isthmal fracture is a risk factor for nonunion after femoral nailing: a case-control study. J Orthop Sci. 2012 Oct;18(1):76-80. Hagino H, Sawaguchi T, Endo N, Ito Y, Nakano T, Watanabe Y. The risk of a second hip fracture in patients after their first hip fracture. Calcif Tissue Int. 2012 Jan;90(1):14-21. Yoshino N, Watanabe N, Fukuda Y, Watanabe Y, Takai S.The influence of patellar dislocation on the femoro-tibial loading during total knee arthroplasty. Knee Surg Sports Traumatol Arthrosc. 2011;19(11):1817-22. Abe S, Yamamoto A, Tamayama M, Kobayashi M, Watanabe Y, Miki Y, Tokizaki T, Imamura T, Motoi T, Matsushita T. Synovial hemangioma of the hip joint with pathological femoral neck fracture and extra-articular extension. J Orthop Sci. 2013 Jan;18(1):181-5. Kobayashi M, Watanabe Y, Matsushita T. Early full range of shoulder and elbow motion is possible after minimally invasive plate osteosynthesis for humeral shaft fractures. J Orthop Trauma. 2010 Apr; 24(4):212-6. Watanabe Y, Matsushita T, Bhandari M, Zdero R, Schemitsch EH. Ultrasound for fracture healing: current evidence. J Orthop Trauma. 2010 Mar; 24 Suppl 1:S56-61. Yoshino N, Watanabe N, Fukuda Y, Fujita N, Kitamura T, Watanabe Y, Takai S. Simultaneous bilateral Salter-Harris type II injuries followed by unilateral Salter-Harris type III injury of the proximal tibia in an adolescent with osteogenesis imperfecta. J Orthop Sci. 2010 Jan; 15(1):153-8. 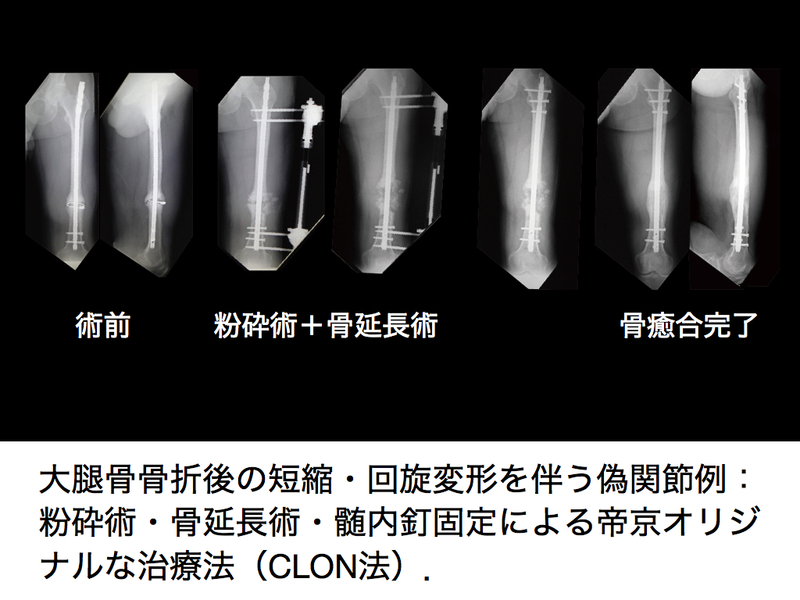 Watanabe Y, Nishizawa Y, Takenaka N, Kobayashi M, Matsushita T. Ability and limitation of radiographic assessment of fracture healing in rats. Clin Orthop Relat Res. 2009 Aug; 467(8):1981-5. 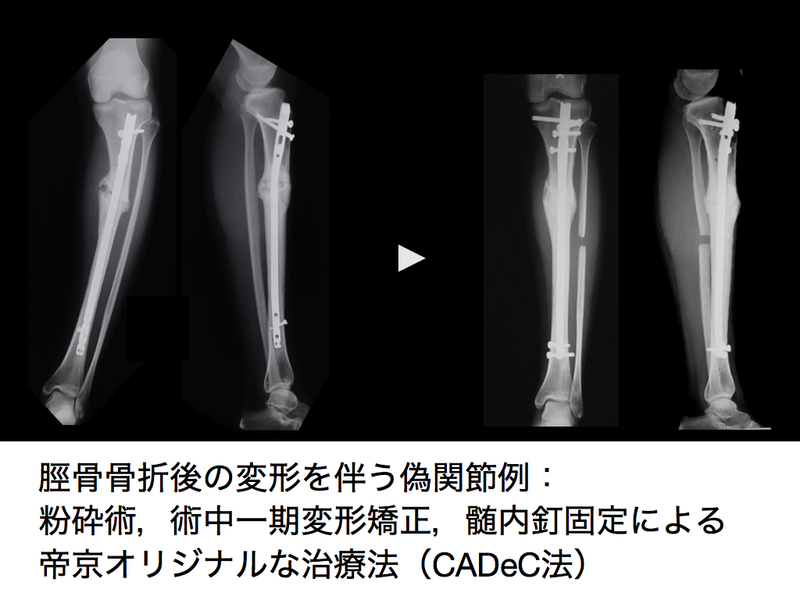 Yoshino N, Watanabe N, Watanabe Y, Fukuda Y, Takai S. Measurement of joint gap load in patella everted and reset position during total knee arthroplasty. Knee Surg Sports Traumatol Arthrosc. 2009 May; 17(5):484-90. Watanabe Y, Terashima Y, Takenaka N, Kobayashi M, Matsushita T. Prediction of avascular necrosis of the femoral head by measuring intramedullary oxygen tension after femoral neck fracture. J Orthop Trauma. 2007 Aug;21(7):456-61. 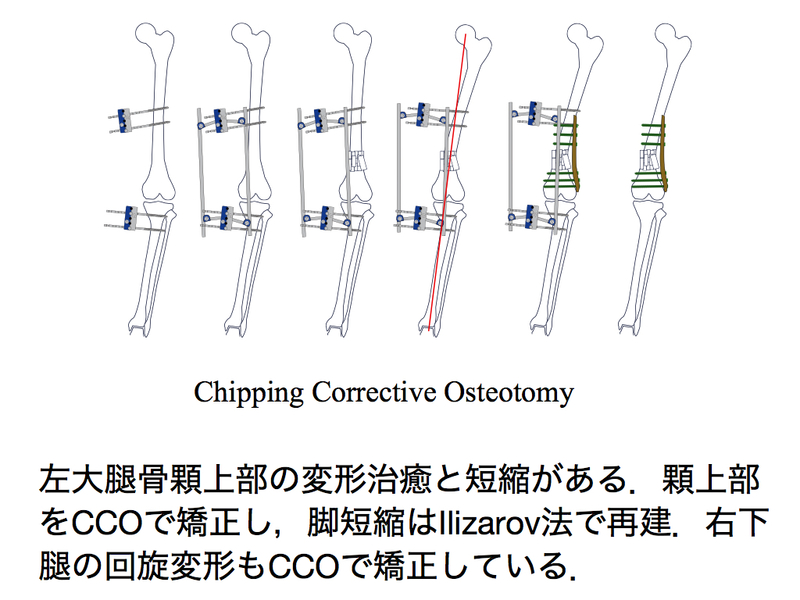 Matsushita T, Watanabe Y. Chipping and lengthening technique for delayed unions and nonunions with shortening or bone loss. J Orthop Trauma. 2007 Jul; 21(6):404-6. 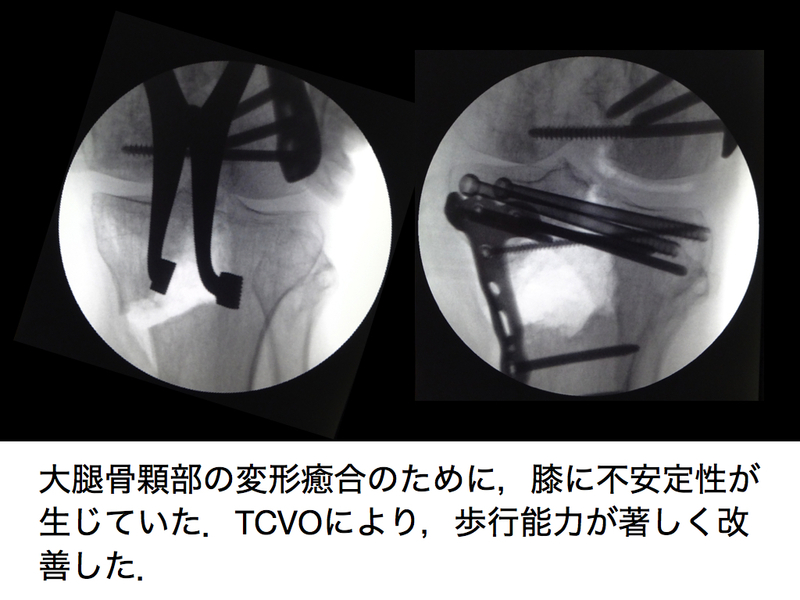 Watanabe Y, Matsushita T. Salvage of a failed valgus osteotomy for non-union of an unstable pertrochanteric fracture. Strat Traum Limb Recon. 2006 Dec; 1(1): 55-57. 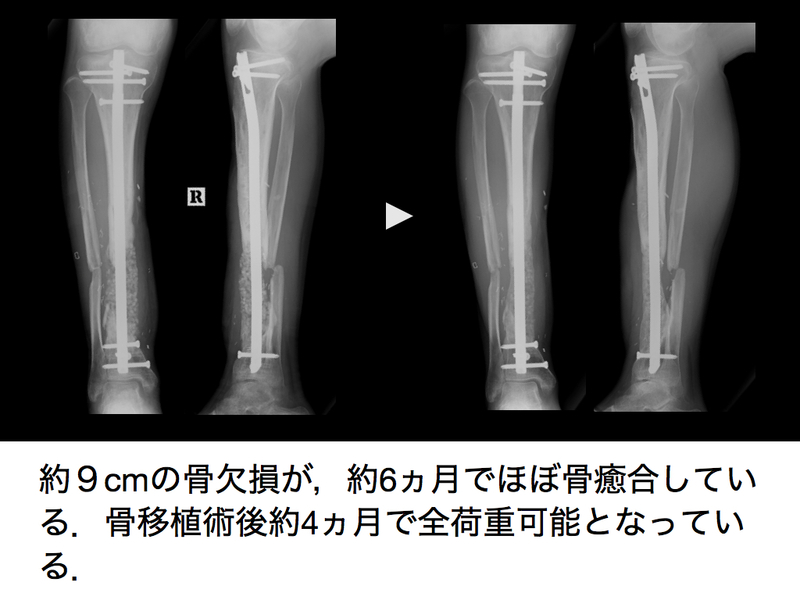 Yoshino N, Watanabe Y, Takenaka N, Watanabe N, Fukuda Y, Fujita N, Maruyama N, Sumiyoshi H, Takai S. Implant failure of long Gamma nail in a patient with intertrochanteric-subtrochanteric fracture. J Orthop Sci. 2006 Nov; 11(6):638-43. Yoshino N, Takai S, Watanabe Y, Nakamura S, Kubo T. Total knee arthroplasty with long stem for treatment of nonunion after high tibial osteotomy. J Arthroplasty. 2004 Jun; 19(4): 528-31. Takai S, Yoshino N, Kusaka Y, Watanabe Y, Hirasawa Y. Dissemination of metals from a failed patellar component made of titanium-base alloy. J Arthroplasty. 2003 Oct; 18(7): 931-5. Takai S, Dohno H, Watanabe Y, Yoshino N, Ogura T, Hirasawa Y. In situ strain and stress of nerve conduction blocking in the brachial plexus. J Orthop Res. 2002 Nov; 20(6): 1311-4. 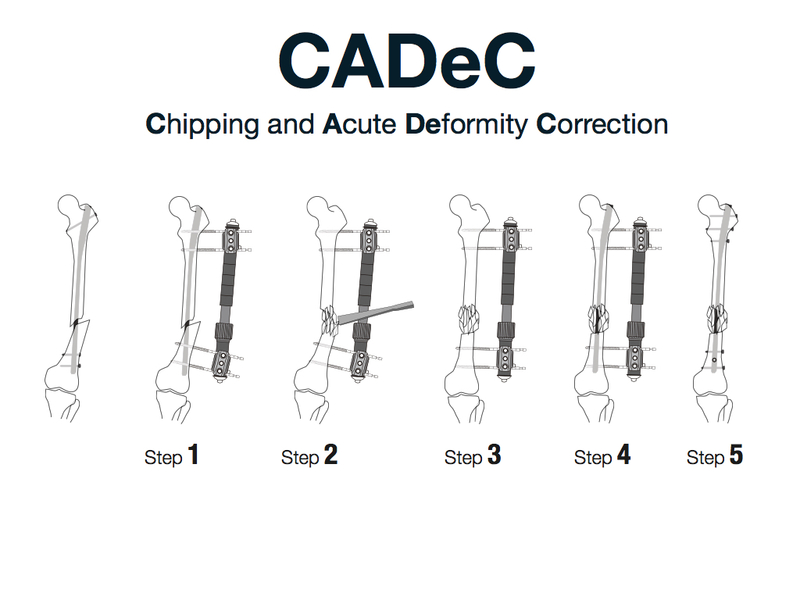 Watanabe Y, Takai S, Yamashita F, Kusakabe T, Kim W, Hirasawa Y. Second-generation intramedullary supracondylar nail for distal femoral fractures. Int Orthop. 2002;26(2):85-8. Hirasawa Y, Takai S, Kim WC, Takenaka N, Yoshino N, Watanabe Y. Biomechanical monitoring of healing bone based on acoustic emission technology. Clin Orthop Relat Res. 2002 Sep;(402): 236-44. Tamai M, Okajima S, Watanabe Y, Kurokawa M, Hirasawa Y. Newly devised anterior portal technique for arthroscopic bankart repair using suture anchors. Arthroscopy. 2002 Mar; 18(3): 329-31. Watanabe Y, Minami G, Takeshita H, Fujii T, Takai S, Hirasawa Y. Migration of the lag screw within the femoral head: a comparison of the intramedullary hip screw and the Gamma Asia-Pacific nail. J Orthop Trauma. 2002 Feb; 16(2): 104-7. Watanabe Y, Takai S, Arai Y, Yoshino N, Hirasawa Y. Prediction of mechanical properties of healing fractures using acoustic emission. Watanabe Y, Takai S, Arai Y, Yoshino N, Hirasawa Y. J Orthop Res. 2001 Jul; 19(4):548-53. Yoshino N, Takai S, Watanabe Y, Fujiwara H, Ohshima Y, Hirasawa Y. Primary total knee arthroplasty for supracondylar/condylar femoral fracture in osteoarthritic knees. J Arthroplasty. 2001 Jun; 16(4):471-5. Yoshino N, Takai S, Watanabe Y, Kamata K, Hirasawa Y. Delayed aseptic swelling after fixation of talar neck fracture with a biodegradable poly-L-lactide rod: case reports. Foot Ankle Int. 1998 Sep;19(9):634-7. Watanabe Y, Kobayashi M, Matsushita T. Chapter 72, Noninvasive Technologies for Fracture Repair, BMJ Book Evidence-Based Orthopaedics, In Mohit Bhandari, Wiley, 2011: 636-641. Yoshida M, Kim W, Inoue N, Arai Y, Watanabe Y. The Effect of maturation on dynamic viscoelastic properties of epiphyseal plate in rabit, Clinical Biomechanics and Related Research, In Hirasawa Y, Sledge C and Woo S, Springer-Verlag, 1994: 155-160. Hirasawa Y, Watanabe Y, Arai Y, Inoue N. Monitoring of the mechanical strength of the callus in fracture treatment and callotasis by acoustic emission, Clinical Biomechanics and Related Research, In Hirasawa Y, Sledge C and Woo S, Springer-Verlag, 1994: 11-24. Arai Y, Kim W, Hirasawa Y, Inoue N, Yoshida M, Watanabe Y. Dynamic viscoelastic properties of cortical bone and callus, Clinical Biomechanics and Related Research, In Hirasawa Y, Sledge C and Woo S, Springer-Verlag, 1994: 11-24. Yoshino N, Inoue N, Watanabe Y, Yamashita F, Hirasawa Y, Hirai T, Katayama T. Stress analysis of the proximal tibia after total knee arthroplasty with a finite element method, Biomechanics in Orthopaedics, In Niwa S, Perren S, Hattori T, Springer-Verlag, 1992: 253-262.